Do I have enough marks to get into my favourite college? Will I be able to secure a seat in my desired course? WILL I MAKE IT TO DU AT ALL?!!??!! First of all, BREATHE. We will help you go through the process that wracks the nerves of lakhs of students every year. Before reading on about the cut-offs, you should first know about how to calculate your score. You wouldn’t want to go through all the hassles and then find out that you calculated your score all wrong, would you? For humanities courses, including the subject in which you are seeking admission is compulsory. So if you are looking at Political Science (Hons. ), you would need to include your marks for political science in the calculation. Apart from this, you would be required to include a language (core/elective/functional) and any 2 academic/elective subjects. Inability to fulfill these criteria will lead to a deduction of 2.5% from your score. Physical education and music are two subjects that cannot be included in your score, unless you’re pursuing a course in them. For science courses, the procedure is a little different, as your admission will be dependent on your PCM (Physics, Chemistry and Maths) or PCB (Physics, Chemistry and Biology) scores respectively, depending on whether you are opting for a non-biology or biology course. 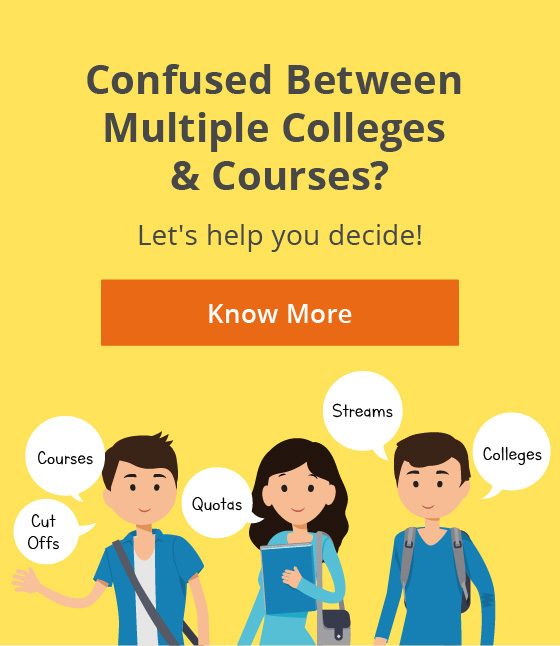 If you are planning on a B.Com programme or a B.A programme course, then you can include any three elective subjects, plus a language in your score calculation. Finally, if you’re planning on changing your stream then beware, as you will have to face a penalty of 2.5% marks, i.e., 2.5% will be deducted from your best-of-four score to obtain your final score. For B.Com programme and B.A programme courses, this penalty is set higher at 5%. Even those looking at language courses will have to deduct 5% from their score if they hadn’t opted for that language in their 10+2. Now that you are clear on how to calculate your best-of-four, let’s move on to the cut-offs. If you are a Maths geek and are fascinated by numbers, this is the course for you. 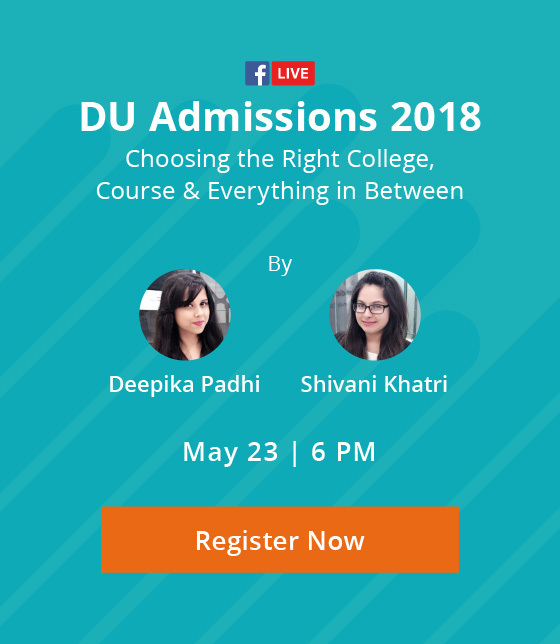 As per past year trends, you would need a best-of-four score of at least 87% to qualify for this course in DU, for those in the general category. If you crave for some of the top-tier colleges like Hindu, Hansraj, LSR etc., you would need an average of 96-97.5%, as per the first cut-off list. These cut-offs are predicted to rise by 0.5-1.5% this year. The cut-off scores for this course range between 92 to 97.33 in the first cut-off, for the general category. Cut-offs are predicted to rise by 1-1.75%. You would need to have a score between 85 to 97.33 percent if this is the course that you dream of. If you belong to the OBC category, the required percentage is lower at 85-96%. For SC and SC candidates the cut-off ranged from 75-95 and 65-94, respectively. Expected rise this year is between 1 to 2 %. To qualify for this course in DU, you need a minimum of 78% as your best-of-four, if you are in the general category. OBC students need a minimum of 75, SC students require 74, and ST students require a minimum score of 65%. To get into the top colleges, you would require marks between 92-96. These scores are expected to rise by about 1.5-2% in the current year. In the year 2015, the cut-offs for the general category varied from 79 to 96.67. For OBC candidates, the required scores were in the range of 76-95.6. For SC candidates it was in the 68-94 range, and for ST candidates the score was between 70-91. The expected hike in the cut-offs for this course is 2.5%. The cut-offs for this course touched 100% last year. This year is also expected to be no different. But don’t worry if you are less than perfect, like the rest of us. The least score that you needed to qualify for this course was 88%, for general category students. The cut-off ranges for OBC, SC and ST students were 75-99, 72-97, and 55-97. This is one of the most popular courses offered by DU and thus has a steep cut-off range. It is the one for you if you are interested in finance, accounting and business. As per the past year trends, the expected cut-off range for this course would be between 93-99.5. The cut-offs for this course started at about 90 and peaked at 96.75, for the general category students. For some of the top colleges, you would need to have a percentage between 94-96.75. If you are an OBC student, you would need to have scored between 82-95. For SC and ST students, the cut-off range is between 72-93.5 and 70-93. If you are seeking to join this course, then you would need to have a score between the range of 93 to 98 percent. Past year trends indicate that the cut-offs for psychology would be in the range of 92 to 97.5. For applied psychology, you can expect cut-offs to be in the range of 89 to 96.5. The cut-off scores for this course ranged between 88 to 97% last year. To secure a top tier college you would require a score of at least 90.75 %. It is one of the most sought-after courses in DU, and cut-offs are generally high, ranging from 90 to 98.25%. The cut-off range for entry into this course varied between 75% and 97.75% in the past academic year. This is a varied course that covers a variety of humanities subjects, and you have the option of choosing according to your preferences. Cut-offs generally ranged from 71% to 96% for the general category last year, and is expected to increase by 1-2% this year. So be all set for the days that lie ahead. For some of you, it’s going to be a walk in the park, while for some others; it’s not going to be so easy. Whatever your case might be, the most important thing to remember is to not get disheartened. After all, it’s not the end of the world, innumerable opportunities lie ahead!